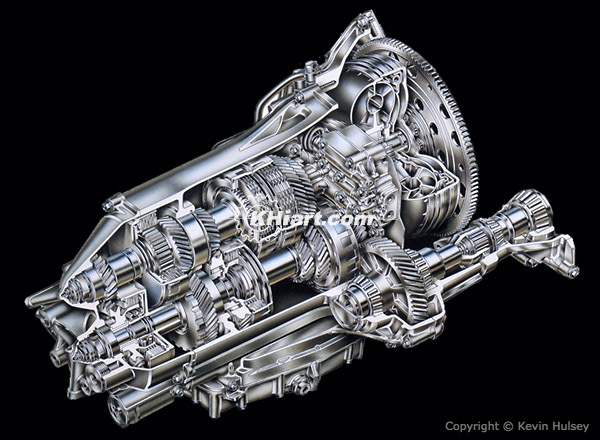 Cutaway of an 6-speed automatic transmission. 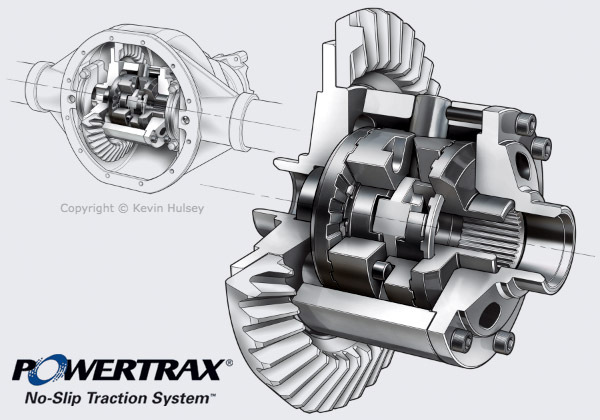 The cutaway above shows a Powertrax limited-slip differential illustration revealing the ring gear, pinion gear, spider gear and axle shafts. 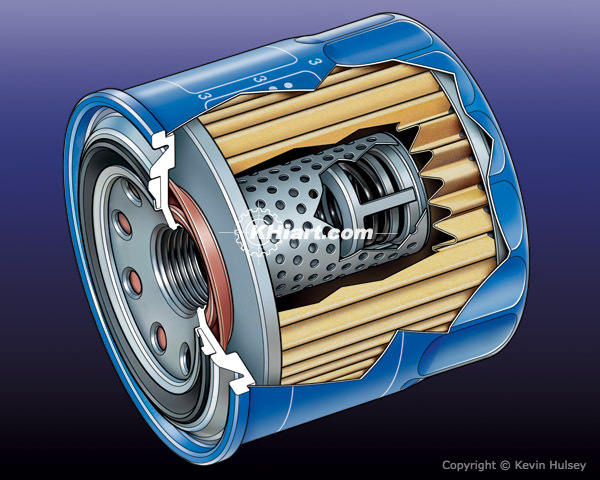 The rendering above is a cutaway of a typical passenger car's engine oil filter. 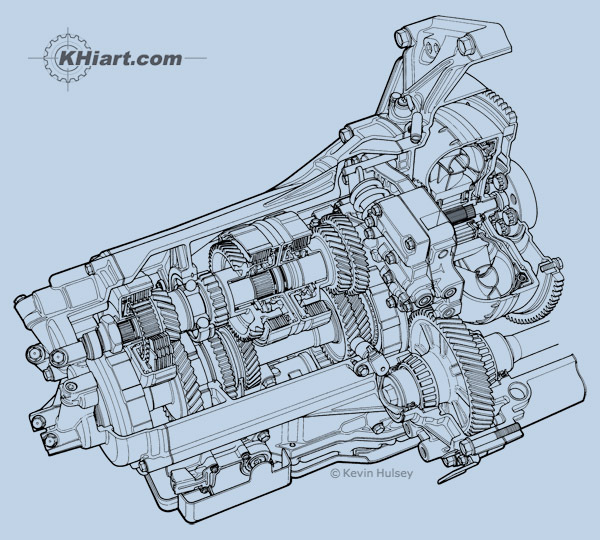 This cutaway illustration image shows a typical manual transmission from a front wheel drive automobile, showing shafts, splines, gears, roller bearings and a torque converter. 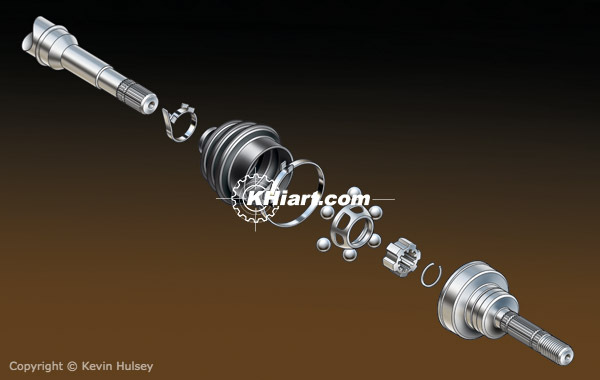 The exploded diagram rendering above is of a car's front wheel drive CV-joint and axle. 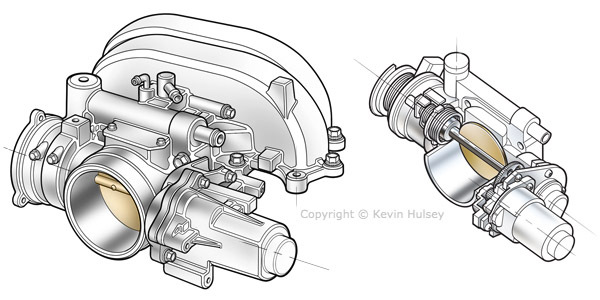 These line-and-tone drawings show a ETCS (Electronic Throttle Control System) throttle body and throttle butterfly valve on a standard car engine. 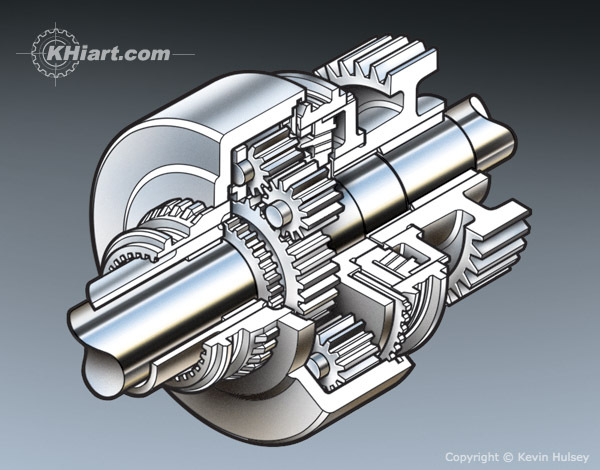 This cutaway shows a limited-slip differential from a medium-duty pickup truck or SUV. 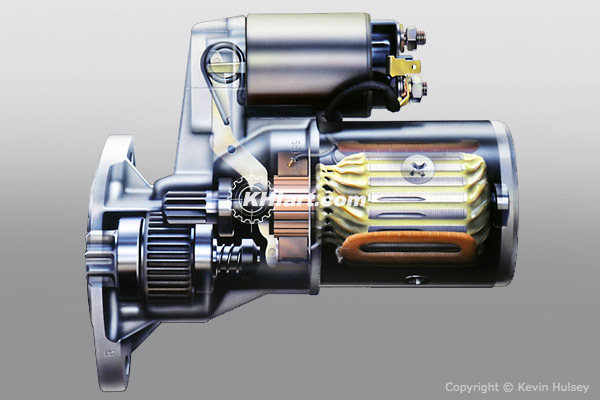 The ghosted cutaway illustration above is of a typical car starter motor. 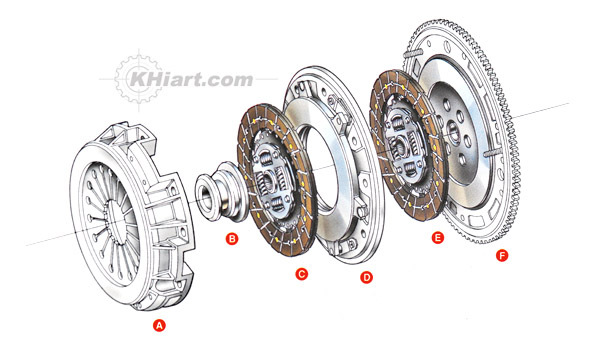 This exploded diagram of a twin-disc clutch assembly shows the clutch plates, throwout bearing, friction plates, pressure plate and flywheel. 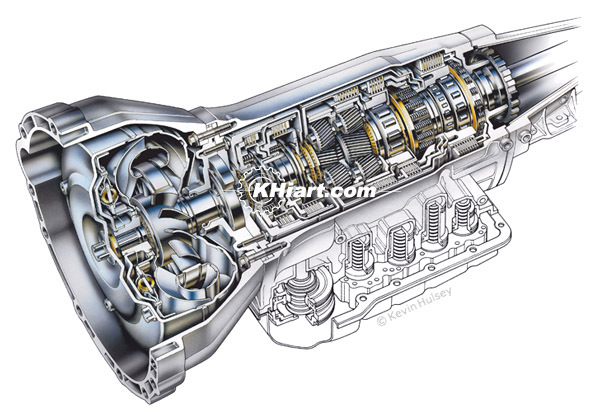 The cutaway line drawing above shows a 4-speed manual transmission from a typical passenger car, showing the clutch assembly and clutch plates, throwout bearing, friction plates, gears, shafts and roller bearings. 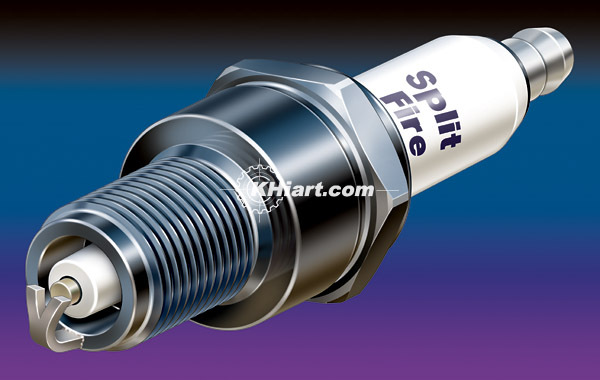 The realistic rendering above is of a high-performance aftermarket spark plug.